This post may include affiliate links that when clicked might generate a commission for this website. This keeps the content free. For more information, see my Disclosure policy. When my daughter was a newborn, I attended my first consignment sale. In the bag of free items and advertisements, I found a business card for dog boarding. 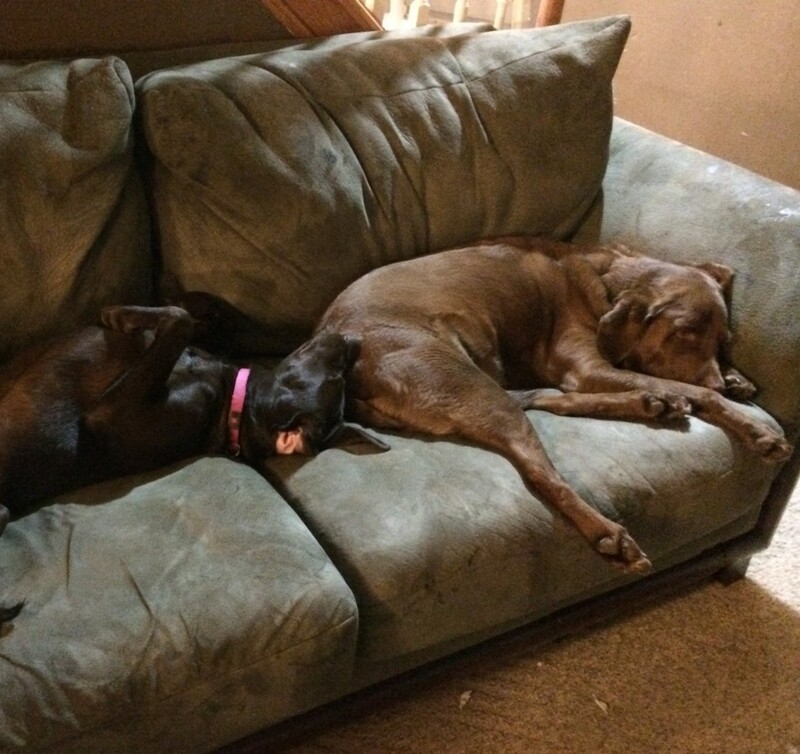 It was from a couple that kept dogs in their home while their owners went on vacation. This was a great dog boarding find since we had moved here and would need someone to watch our dogs while we were out of town and I did not want to board them in a kennel. We found a wonderful set up where our dogs were treated like family and I got frequent updates on how they were doing. The best part? It was AFFORDABLE! It was less money than putting them in a kennel. It was a win win situation for our dog boarding needs. We have been so fortunate to be able to use this family to watch our dogs for almost 8 years. However, this past March we planned a quick getaway and our dog sitters were already booked up! We had to use a new service where someone came in and spent the night at our house. Convenient yes, but EXPENSIVE! I didn’t get the updates I wanted and I didn’t even know who was staying in my house and it was 3 times as much as we normally paid. It was during this search that I discovered a national company, DogVacay, which allows you to find people in your area that will provide dog boarding in their homes while you are away on vacation. DogVacay handles the marketing, the reservations, the insurance, everything. It is truly a great company for finding a dog sitter and to also be a part of. I have been a host for DogVacay since the end of March. We have hosted 4 dogs so far and each one has been a wonderful experience. I have the owners do a meet and greet prior to the dog staying with us to make sure that everyone is going to get along. This also allows the owner to see our home, the yard, and where their pet will be staying while on their own vacation! I have three dogs of my own at this point and so far, we haven’t had any negative interactions. In fact, having guest dogs is great for our 1 year old Lab as it gives her another dog to play with and wears both the dogs out. This helps them to sleep better and they really enjoy it. I provide photo updates to each owner every other day, or more if requested. This is easily accomplished via my phone and the DogVacay app. I set my own rates and DogVacay handles taking payment and then paying me via PayPal. Their fee is 15% of the amount, which isn’t bad at all considering they carry all the insurance to protect the pets while they are in our home and also will protect our pets if a dog we are keeping were to injure one of our dogs. The kids really enjoy getting to know other breeds of dogs and my daughter is great at helping with feeding and ensuring everyone is outside and doing well. This is now one of her chores to help when we have guest dogs. Not only does DogVacay handle everything for you, but they have a great staff that is available 24 hours a day if you have any questions or concerns while you are keeping a guest dog. We had one dog that got an upset stomach one day and I notified DogVacay just in case I needed to take the dog to get fluids if she got dehydrated. They have a special team that handles these things and they called me twice on the day the dog was sick and followed up with me each remaining day of the dogs stay to make sure she was doing well and to make sure that I didn’t need anything. They are wonderful to work with! This is how dogs spend vacation at our house! So, if you are looking for someone to keep your dogs while you are on vacation or you want to earn some extra money keeping dogs in your home, I highly recommend checking out DogVacay. Why put your furbaby in the kennel when it is cheaper and better for them to stay with a family that can love on them, play with them, and spoil them a little while you are on vacation. 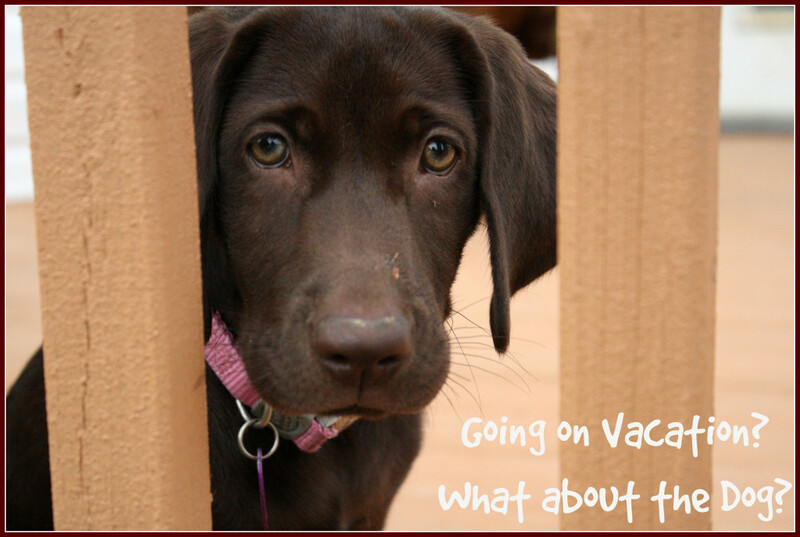 You can have peace of mind and your dog can have a vacation all their own!